The articles in the book discuss the perspectives as well as the problems related to the method of internal reconstruction. It thus offers a rich overview of one of the most important fields in historical linguistics today. The authors, renowned scholars in the field, are united in the ambition to shed light on the possibility to uncover the older stages of the history of a language through algebraic analysis and without the comparison to other languages. 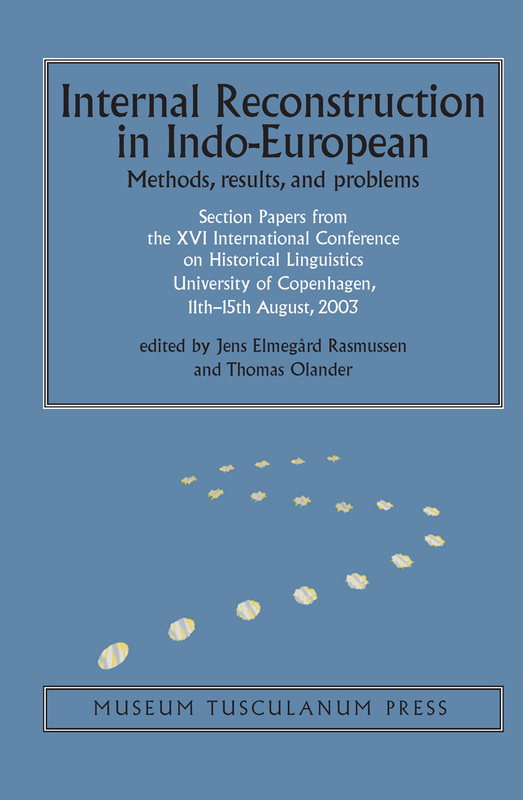 The collection of articles shows the strength of this technique concerning a range of classical problem fields within each Indo-European language and language group (Greek, Latin, Germanic, Old Irish, Tokharian), and also in the analysis of the Indo-European proto-language. Among other things the articles discuss the possibility of observing similarities with other language families. Genitive and adjective—primary parts of the Proto-Indo-European language-system? On the historical morphology of the Old Irish verb téit "goes"
How many noun suffixes did Proto-Indo-European have? Internal resconstruction applied to Indo-European: where do we stand?